This study compared parental socialization of adolescent positive affect in families of depressed and healthy adolescents. Participants were 107 adolescents (42 boys) aged 14 – 18 years and their parents. Half of the participants met criteria for major depressive disorder and the others were demographically matched adolescents without emotional or behavioral disorders. 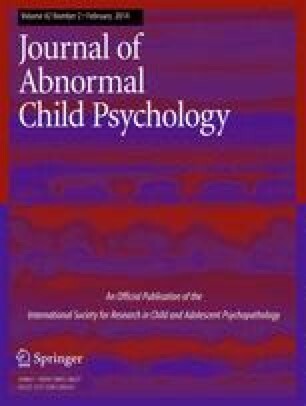 Results based on multi-source questionnaire and interview data indicated that mothers and fathers of depressed adolescents were less accepting of adolescents’ positive affect and more likely to use strategies that dampen adolescents’ positive affect than were parents of healthy adolescents. Additionally, fathers of depressed adolescents exhibited fewer responses likely to enhance the adolescents’ positive affect than were fathers of healthy adolescents. These findings build on those of previous work in examining parental responses to adolescent emotions, focusing on positive emotions and including both mothers and fathers. The online version of this article (doi: 10.1007/s10802-013-9784-2) contains supplementary material, which is available to authorized users.